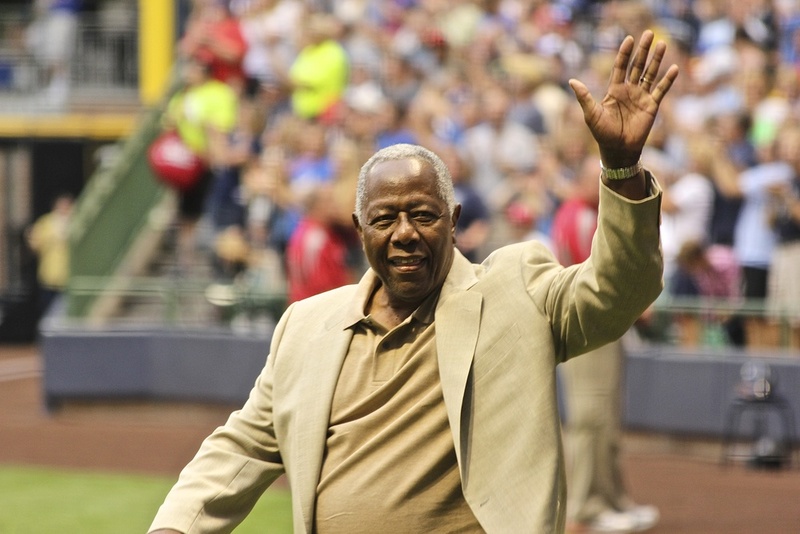 Muneesh's favorite picture from his 30-stadium tour of Hank Aaron walking onto the field at Miller Park. Charles Scheeler is our guest today in the Clubhouse. If you are unfamiliar with the Mitchell Report, click here. 1:55 In 2012, Tigers perennial All-Star Miguel Cabrera captured the first Triple Crown in the majors since Carl Yastrzemski achieved the feat in 1967 for the Boston Red Sox. In 2013, Cabrera threatened to do it once again, but Orioles slugger Chris Davis stood in his way. Davis was suspended in 2014 for his use of Adderall which is a banned substance (without an exemption). 3:40 The 2006 non-fiction book Game of Shadows revealed the extensive performance enhancing drug abuse rampant in MLB as well as other major sports. 6:00 Newly elected MLB Hall of Famer Frank Thomas has been outspoken against steroid abuse in baseball his entire career. Jason Giambi is one of the few ballplayers who has admitted to using illegal substances. 9:40 In 1998, in the middle of the Mark McGuire/Sammy Sosa home run race, a writer for the AP named Steve Wilstein discovered a bottle of supplements in McGuire's locker. The story made headlines briefly, before being largely swept under the rug. 9:45 In 2002, Tom Verducci spoke to former NL MVP Ken Caminiti about steroid abuse in baseball. It was the first major article to really discuss the PED culture in MLB. 14:00 There is an argument amongst modern baseball fans that the amphetamines (or "greenies") that former ballplayers ingested in the 1970s and 80s are no different than the steroid scandal of the 90s and 2000s. 25.50 Cal Ripken Jr. eclipsed Lou Gherig's streak of consecutive games played on September 6, 1995. Charles was lucky enough to be in attendance for this magical moment. 26:24 Major League Baseball did the unthinkable, and cancelled the World Series in 1994 due to a player's strike. 34:53 Ichiro Suzuki (AL) and Barry Bonds (NL) won their league's batting titles in 2004. The differences in their stats that season are quite remarkable. 36:30 Hank Aaron breaks Babe Ruth's home run record. 39:00 Muneesh's favorite picture from his 17,000 mile journey to visit all 30 MLB ballparks is in the gallery above. 46:45 Hoyt Wilhelm threw the first no-hitter in Orioles history. 47:50 Brooks Robinson was the first Oriole to lead the AL in RBI. Charles was one percentage point off as Robinson hit .317 in 1964. Charles is the best type of baseball fan. 51:00 Charles' favorite baseball memory is going to game one of the 1966 World Series with his father.